-MEDTHERM Schmidt-Boelter Thermopile and Gardon Sensors. -Aerospace Flight Qualified Heat Flux Transducers and Radiometers for Shuttle, Delta, MX, SICBM, Titan, Pegasus, THAAD, LLV, SeaLaunch, Atlas, X33, Aries 1X, Orion. 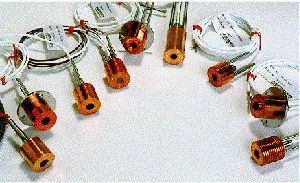 -MEDTHERM Coaxial µsec surface thermocouples for transient heat flux measurement. -Null point calorimeters for total heat flux to 20,000 W/cm². -Ellipsoidal radiometers; Furnace Probes; Gas flare radiometers. 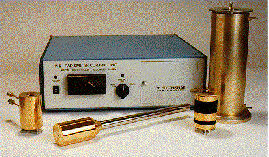 -Kendall Absolute Cavity Radiometers (ECR). -NIST traceable calibrations and recalibration complaint with ISO/IEC 17025, ANSI Z540-1. MEDTHERM has sales representatives in Germany, France, Australia and India. All domestic and other foreign sales should be through MEDTHERM Corporation directly in Huntsville, AL. Alternative Contact Information: In addition, Please specify your preferred contact method if different than email.